Last week we were proud to graduate 9 participants from our Inclusive Bushcare Workshops held at Lane Cove National Park. The aim was to equip people with intellectual disability with the necessary knowledge and skills to either volunteer or seek employment in bush regeneration. The workshops ran for seven weeks with nine participants and their support workers joining us from Job Centre Australia, Northcott and Northside Enterprise Inc. The workshops focussed on developing new skills in workplace health and safety, tool safety, weed identification and removal, planting and bush regeneration best practice. We were really impressed with all the participant’s dedication and enthusiasm during the workshops and hope they enjoyed the beginning of their journey to understand their role in caring for our environment and becoming more informed and responsible citizens. 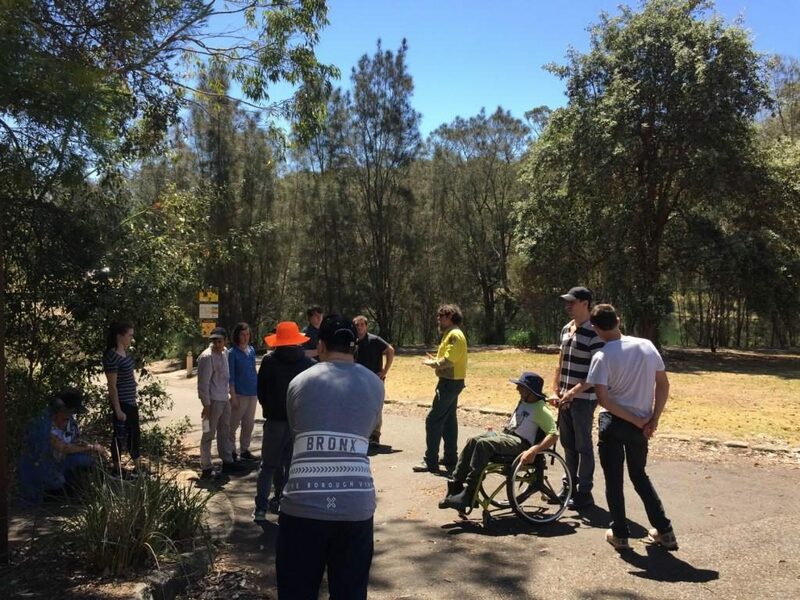 We would like to give a huge thank you to the team at Lane Cove National Park, especially Matt for giving up his time to provide projects to the facilitator and taking the group around the park; giving them many great pointers on how they can help the environment and National Parks from their own backyard.